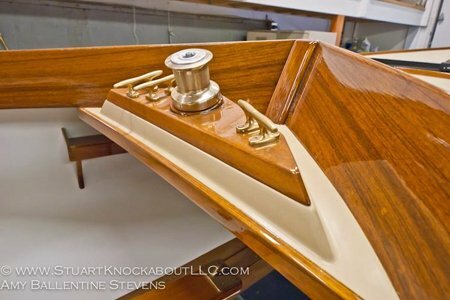 Every new Stuart Knockabout is equipped with Hall Spars, Harding Sails: main and jib, standing and running rigging, running lights, fixed bilge pump, anchor, 2 life vests, bucket and an oar. It is ready to sail away. Stuart Knockabouts ordered by the end of February will be completed for a Spring launch and/or delivery. Because there is an emerging interest in class racing with the Stuart Knockabout and we want to support our yacht clubs we will reduce the cost of each Stuart with volume ordering. 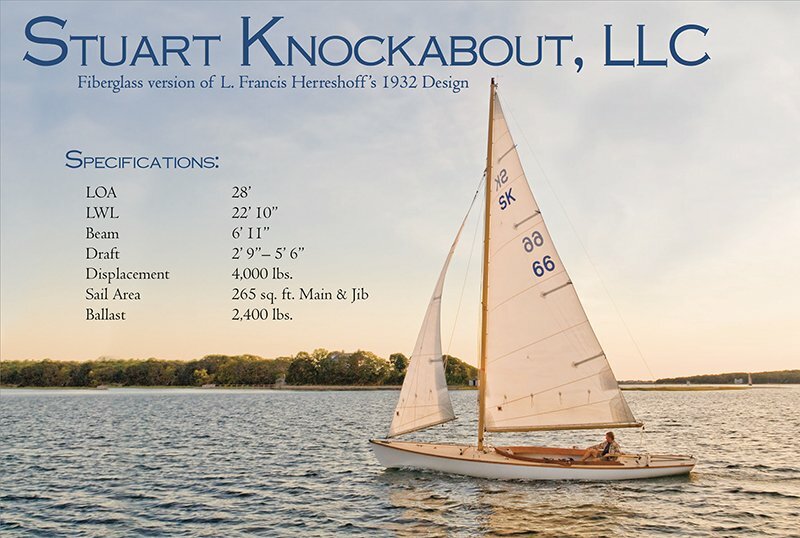 If you represent a yacht club or would like to organize a fleet of Stuart Knockabouts, please contact us, we would be happy to help any way we can. The following options can be used to customize your Stuart. For information on putting together your perfect boat, please contact us and we will work with you to establish the details. We are proud to be a small business that supports other local businesses. 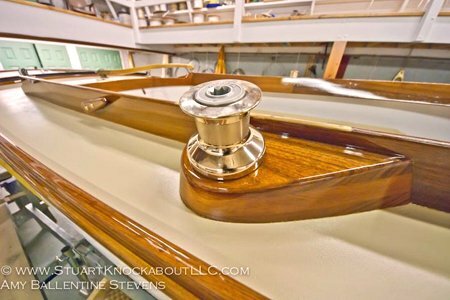 Not only is the Stuart Knockabout built in the USA but nearly every part of her is too, and most can be traced to within 100 miles. We buy local, not only because it is nice doing business with neighbors but also because we seek the same level of quality in the parts that we strive for in the whole. Proximity allows us to work with our suppliers to build a product of quality and consistency. 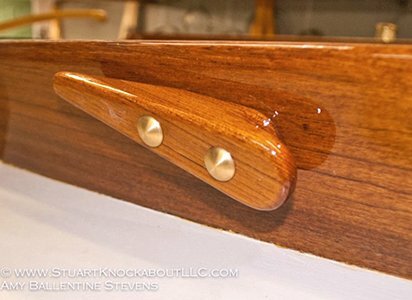 Better pieces make a better boat and the Stuart Knockabout is an elegant example of that. • We have our custom bronze hardware cast at Edson Anbar Foundry in New Bedford. • We use Schaefer Marine blocks and tracks, also built in New Bedford, MA. • The fibeglass hull and parts are manufactured at Pine Grove Plastics in Freetown, MA. • The folks at I. Broomfield & Sons pour the lead keel. They are located in Providence, RI. 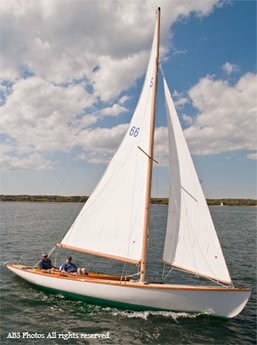 • Our standard sails are constructed in Marion, MA by Harding Sails. • The rig and spars are constructed at Hall Spars and Rigging in Bristol, RI. 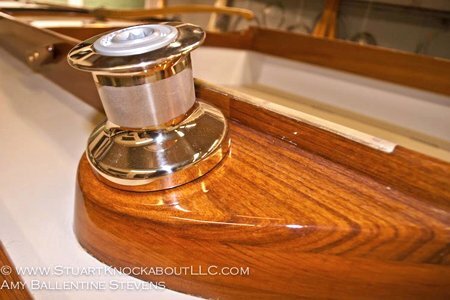 • Construction and finish of the Stuart Knockabout is at Ballentine's Boat Shop in Cataumet, MA. Both new and used boats are sold here. The Doughdish, replica of the Herreshoff 12, is also built and sold at Ballentine's Boat Shop. Our PARTS LOCATION MAP showing the locations of our sources for building the Stuart Knockabout.